Any chance knowing the details of this? it seems that the chance getting one is so tough. Don't know about how rare it is, but it seems to do with the stars' egos over who gets top billing - Chan or Tucker? Something similar occured with the re-releases of the first two this past year. 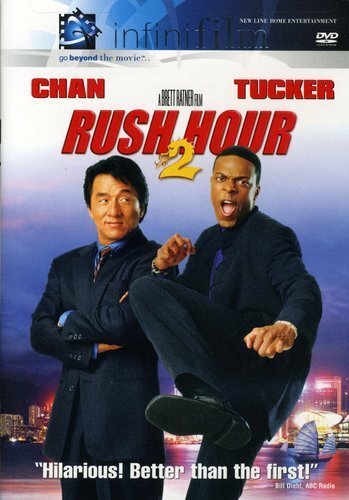 Check out these promo shots for Rush Hour 2: http://www.dvdactive.com/news/releases/rush-hour.html I don't know if they were both released, but as you can see it's something they've dealt with in the past. 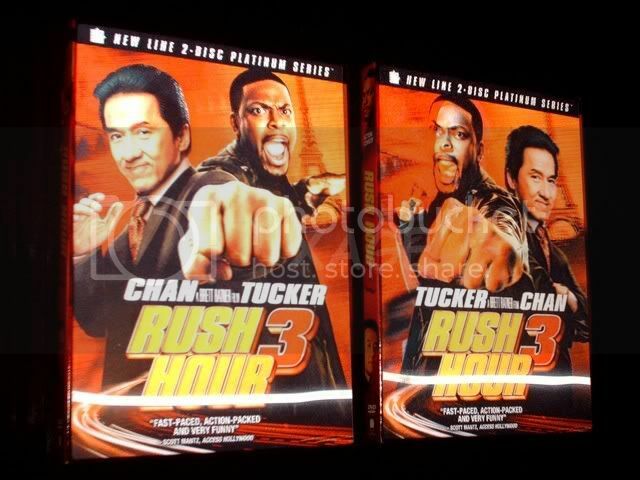 It's rarer than Tucker actually making a movie that isn't part of the Rush Hour series. Thanks for you rinsight.. but certainly.. how can Tucker be chosen to have the "Hard To Find" Cover? Around here, I've only seen the "tucker cover". 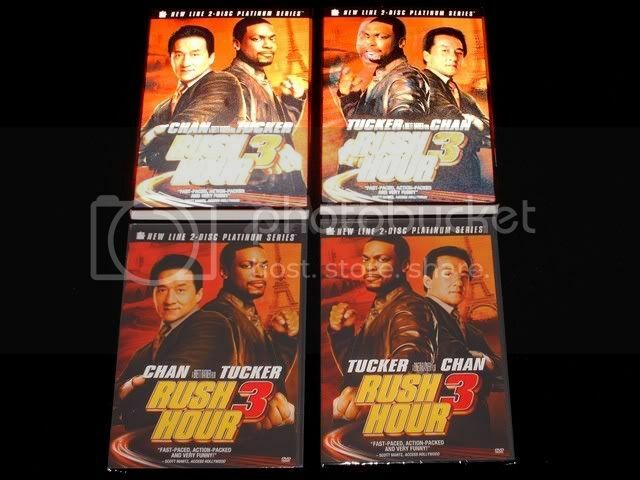 I didn't look through every one of them, but I've seen enough of the tucker ones that I'd notice a "chan cover". This is what I found in Canada. All three copies are readily available from all the major online sites. 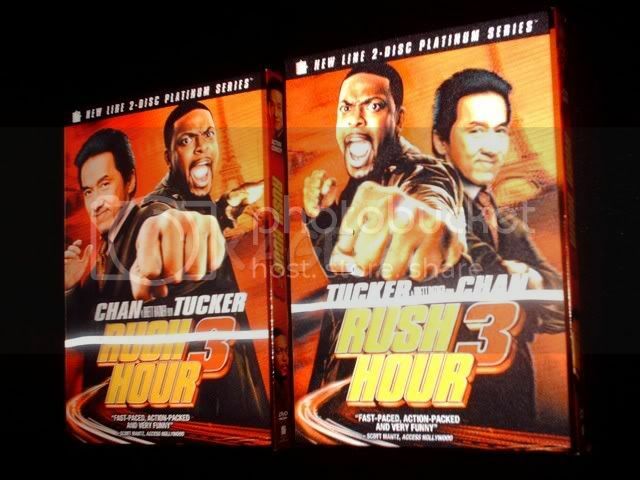 At our store, we had gotten about 2 copies of the Chan cover, and about 20 copies of the Tucker cover. IIRC, it was Tucker's complaining that got him top billing. xage: man, I wish I had the money you spend on multiples. not rare at all really. There is also a lenticular cover at wal mart, not sure if they made a lenticular both ways or not though. I must concur. I mean, I love the Evil Dead movies, but goddamn!! Just back from FYE and not a Tucker Lenticular in sight, all Chan leading covers. Which is much different then release day at the same store, at that time they only had Tucker leading covers. Sam's Club by me seemed to only have the Chan one, but Wal-mart and Target seemed to only have the Tucker. View Next Unread Can i find SNL season 2 in a NICE box?? ?